Following the format of the successful Learning is Fun series, the Learning About series moves slightly upward in age range, from preschool and kindergarten concepts to curriculum topics covered in kindergarten through grade 1. 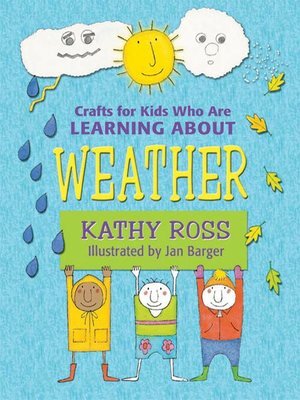 There are easy-to-make crafts for every kind of weather. Among the projects are “What kind of weather? Wheel”, “Mr. Thermometer”, “Flash of Lightning Puppet”, “Icy Snowman Mobile”, and a “Dress for the Weather doll”. Each craft includes a list of simple materials and step-by-step illustrated instructions. They are perfect for group classroom projects, or for just having fun at home…perhaps on a rainy day?